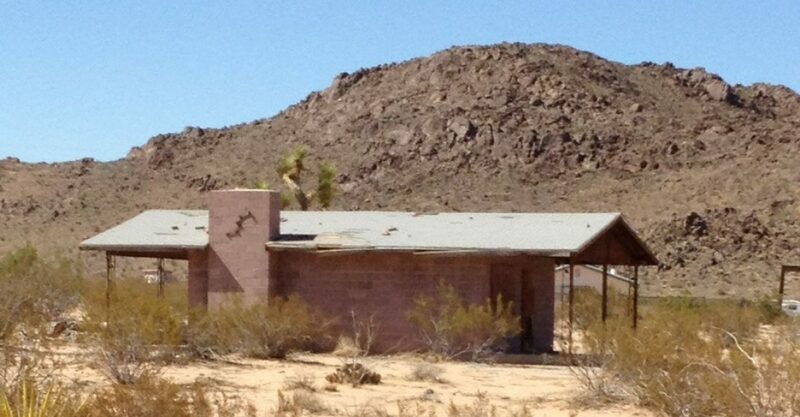 I have been taking a break from the Palm Springs Sunny Dunes house and spending the majority of my days up in Joshua Tree. 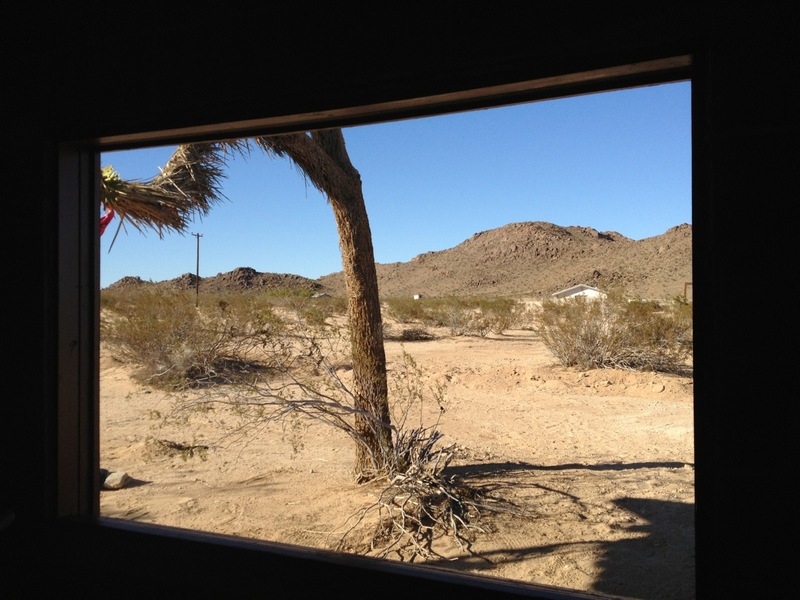 Working on improving the lil Scamp aka Camping Cubbyhole in Joshua Tree has been quite the treat. 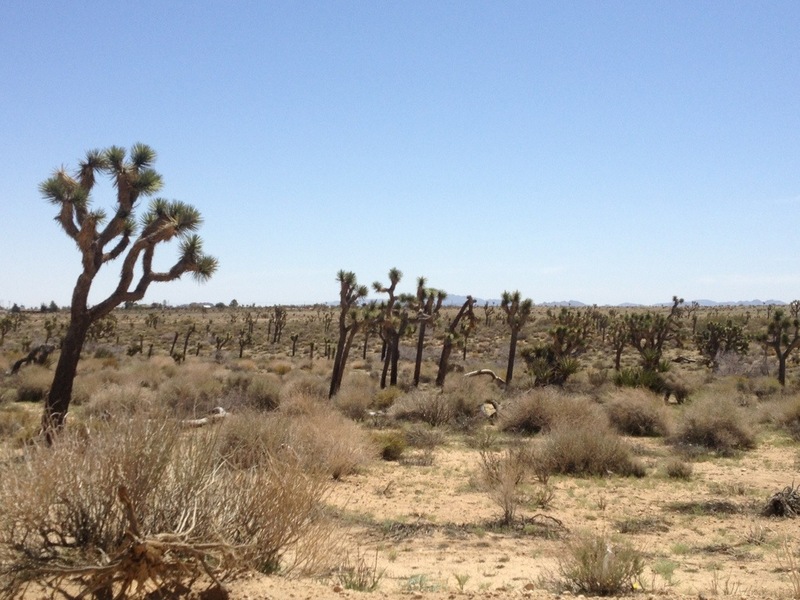 Spring is without a doubt my favorite season in Joshua Tree. The creosote bushes are in bloom and if we are all lucky enough in the desert, there is a beautiful explosion of wildflowers! And we are LUCKY! 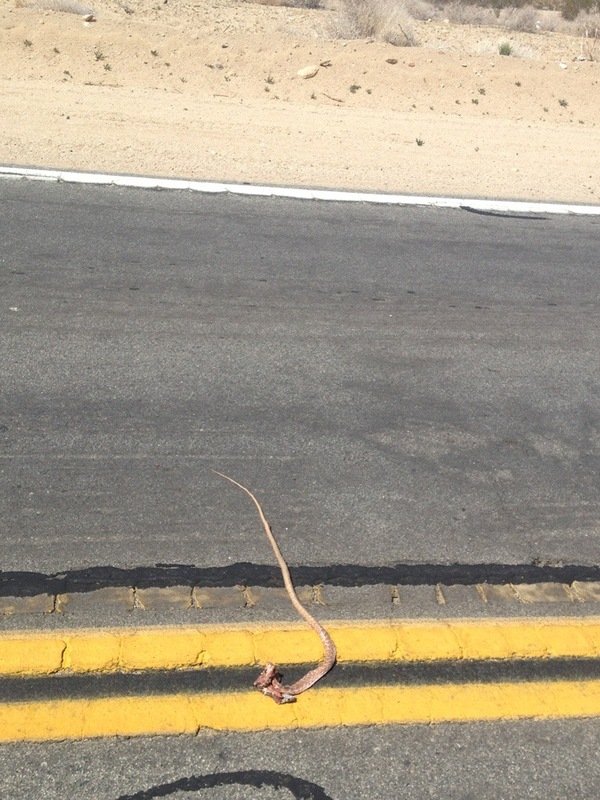 We are not the only desert dwellers who are very excited about spring. Unfortunately, the first snake of the season I noticed was dead on Aberdeen heading out of town. Over the years the camper has rolled through a few towns and the (very) funky (not in a good way)1980’s blue carpet was ready do be retired. Some paint touch ups, new electric plugs, drawer pulls, new curtain rods (ewww fancy), and some salvaged scrap pine I had from the Sunny Dunes house was used for the NEW floor. The Scamp is now officially off of her Camping Cubbyhole axels. 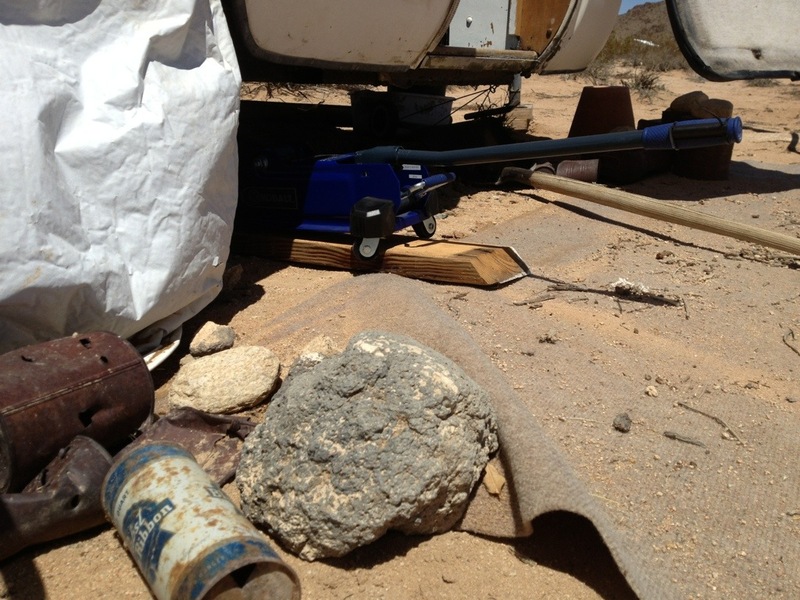 It has been incredibly windy up in Joshua Tree the last few days and the Scamp does not shake anymore! I hear the wind howling and don’t feel a thing, it’s great! I am not sure what to do about the repeated wind sail, sailing away issues in the JT high winds…hmmm also, not sure if I want to put in a fenced area for pets, mine and or other guests. Maybe I want to build a deck with some sort of cover? And do I really want to put up another fence? I am not sure what to do with the insulation covered in white carpet on the walls. It is definitely is an issue when it comes to cleaning it. If I took it out, I would be removing the insulation and then I would have the glue on the walls to contend with. 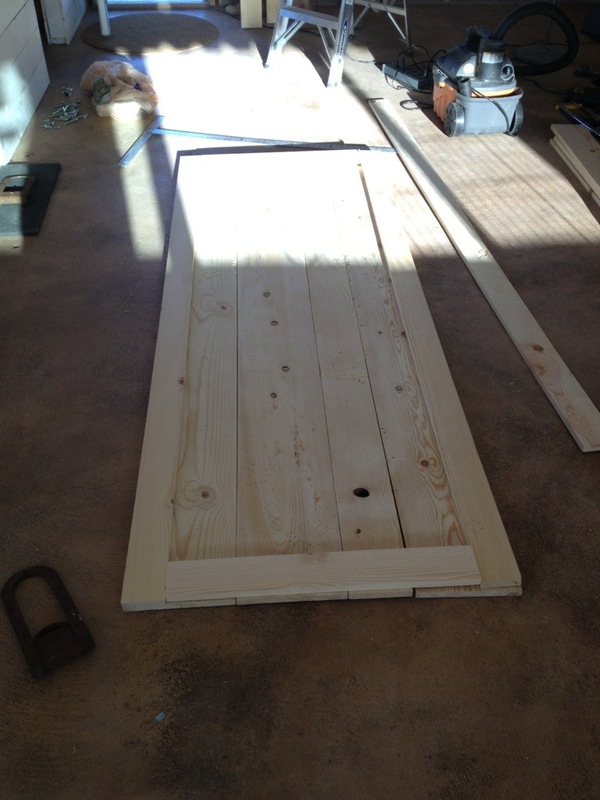 Yesterday I finally started working on the bathroom door. We decided to go with a sliding door to utilize the space the best way we could. 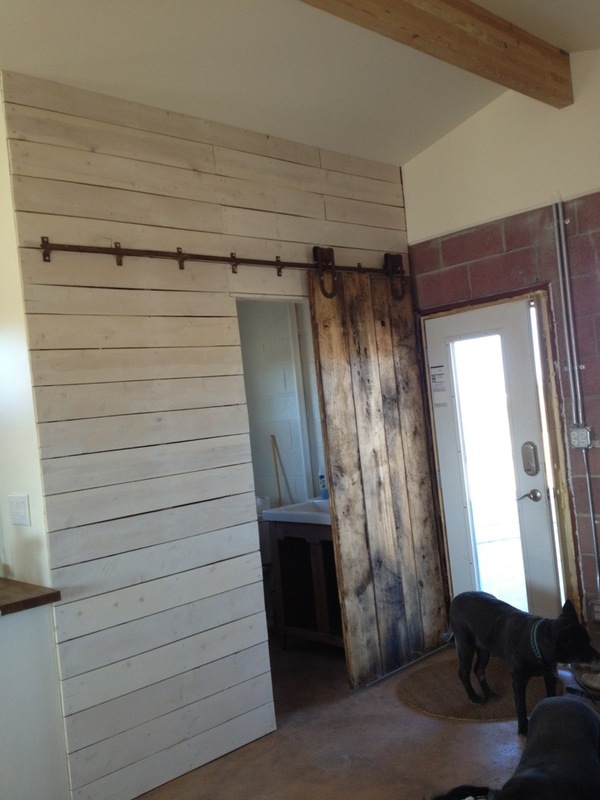 I was thinking of painting it either white or staining the wood similar to the kitchen cabinet doors. I already beat the wood to give it a distressed look. I figured I can always paint it white if all else fails. In the end, I am pleased with the way it turned out. The contrast between the light wall and dark wood looks great. 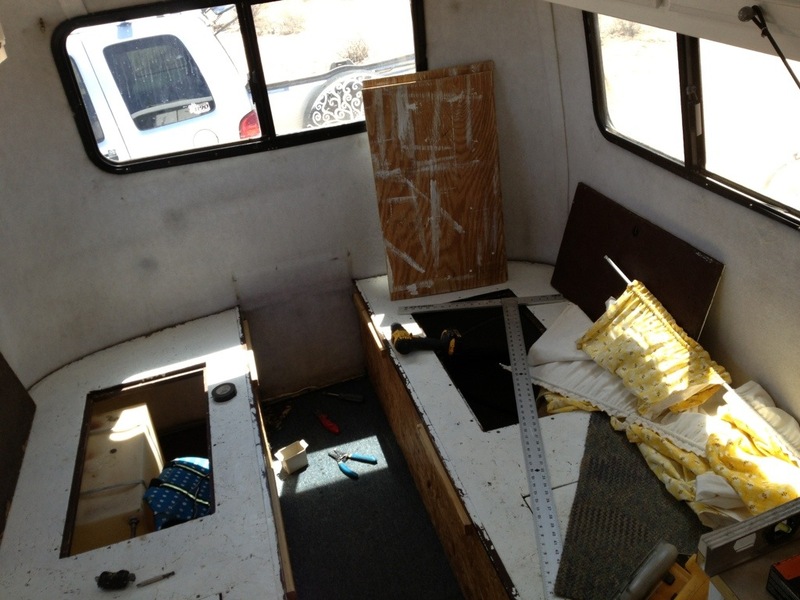 My concern was the cabin is already small, I didn’t want to make it feel any more smaller with dark colors. I don’t think the door does this. Possibly because it is mobile. 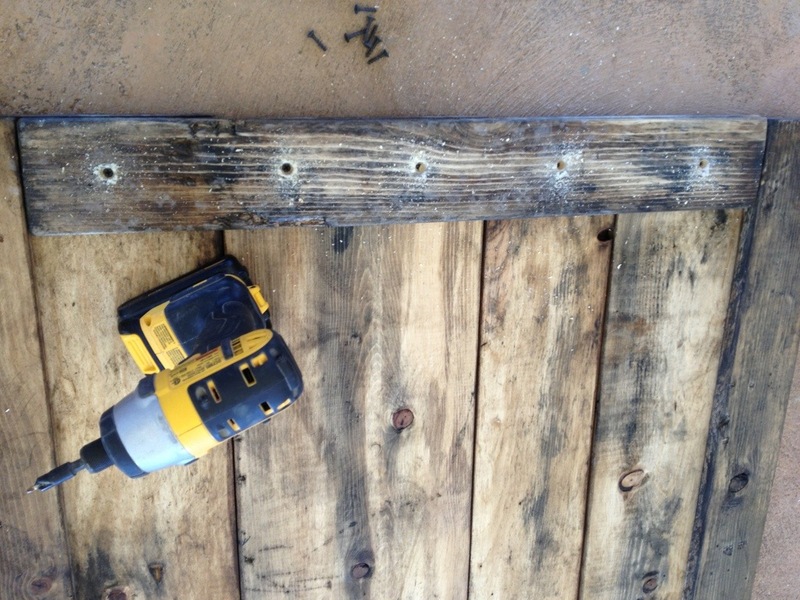 When I assembled the door, I counter sunk all of the holes and plugged them with wood plugs just like I did to the horizontal boards for the exterior bathroom wall. Hanging it was the easiest part. 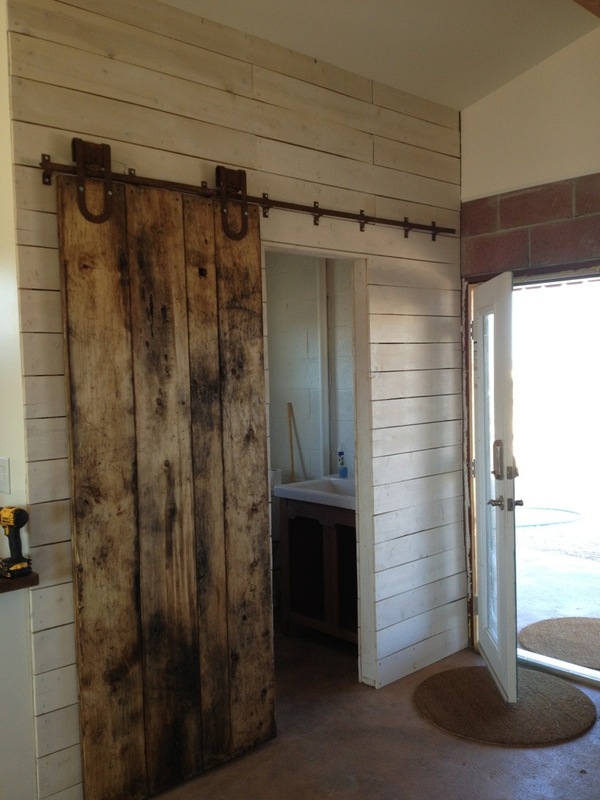 No… buying the barn door track and hangers off of eBay for $100.00 ! A lot has been done since I last posted. 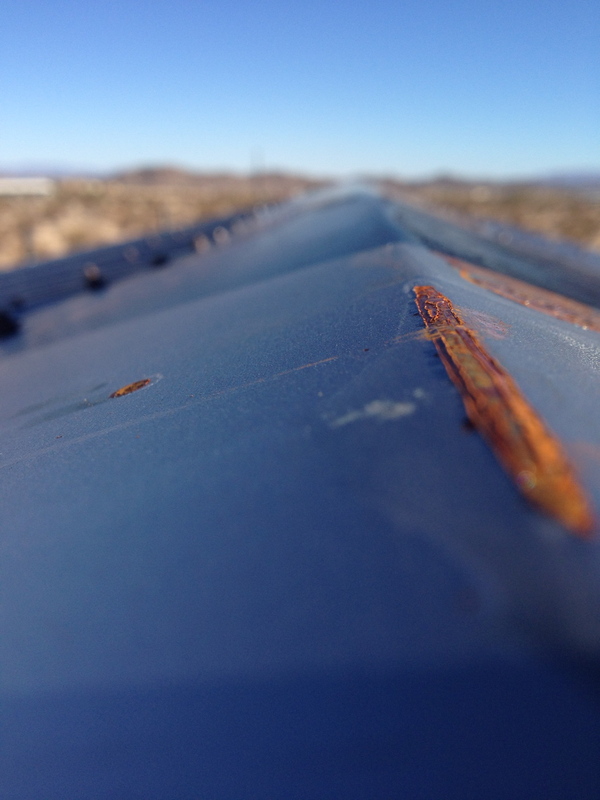 The corrugated roof was finished in December and is much more rusted than in these photos. Before the winter holidays, my father came into town for a month. 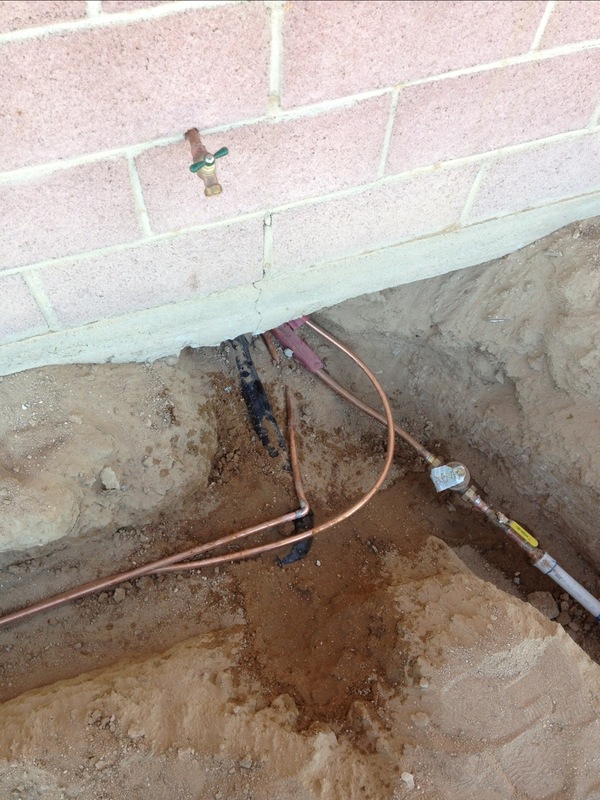 When he was here we were able to get the electrical finished for the most part. As of right now, the cabin isn’t hooked up to the grid. Before the county will “green tag” the main electric panel, (allow the cabin to be hooked up to the grid) pretty much everything has to be done. The walls need to be closed up, outlets, lights, plumbing, cabinets, and the counters installed before we can have the final electric inspection. 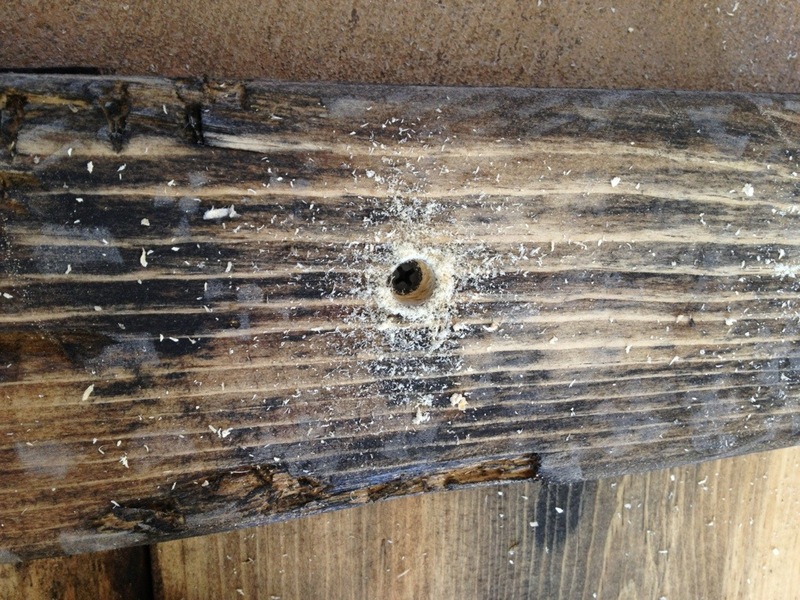 The initial rough-in inspection was a piece of cake. The inspector came when I wasn’t there and he passed it just from what he saw through the windows. 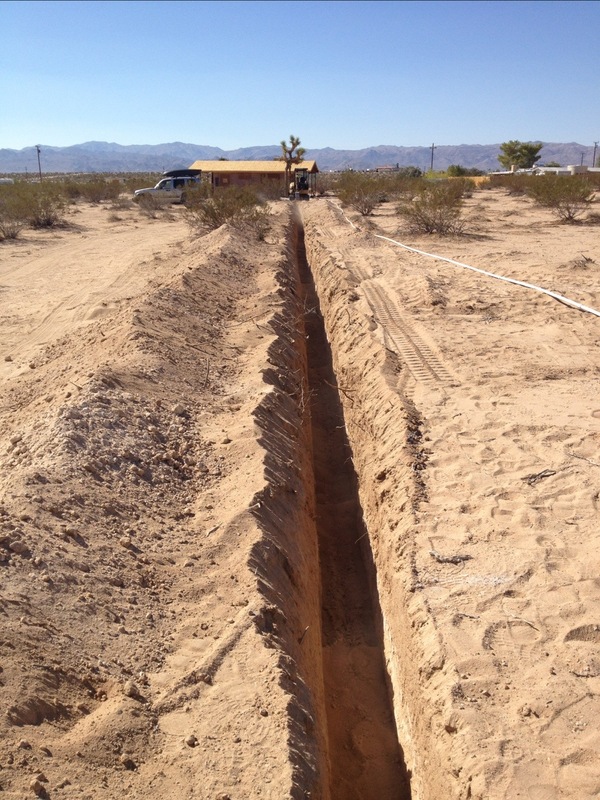 From what I have experienced, the county inspectors dealing with Joshua Tree are very forgiving and really helpful. Of course my taxes will increase because of all of the registered alterations, and I had to spend a little more money on doing things the right way, but in the end, I have peace of mind the house will be as safe as it could be. I’m thankful for the $360 Rehab Permit that covers everything done on the cabin. 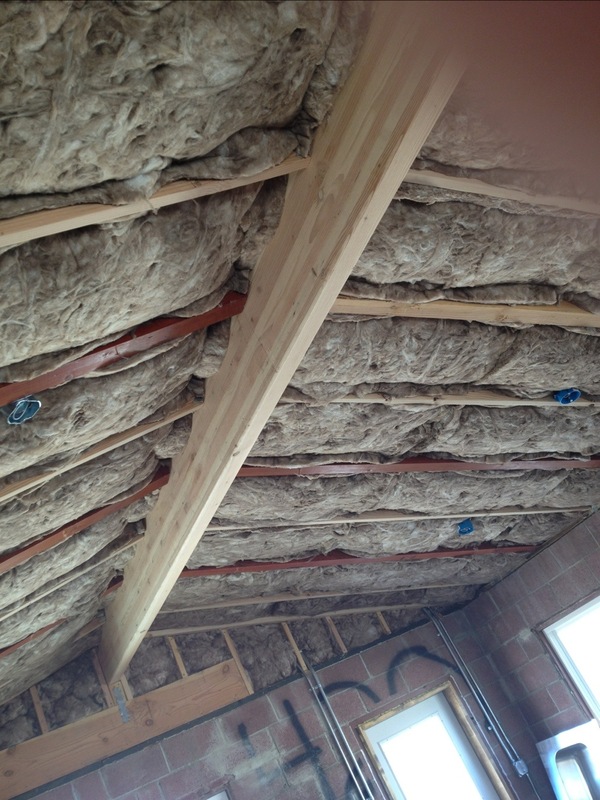 Once the electric wiring was completed, the insulation, and the drywall was installed. 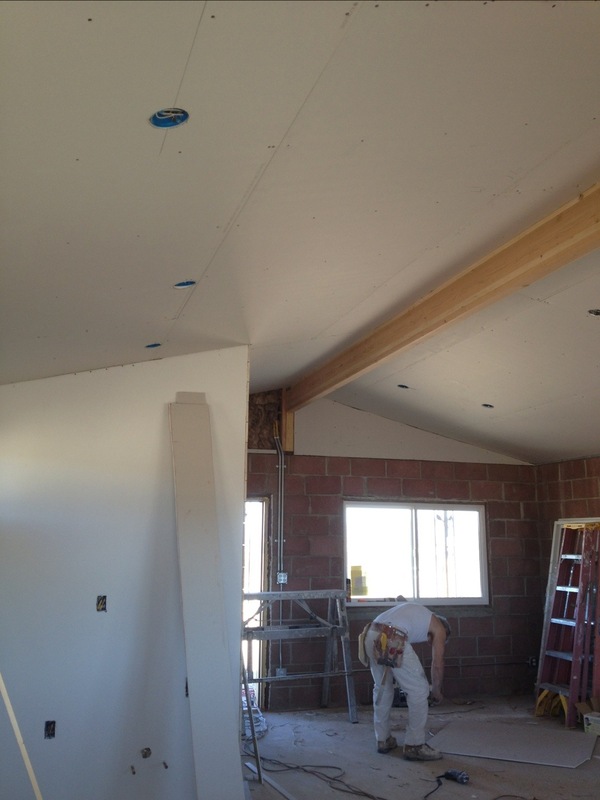 We happily paid someone to do the insulation and the drywall. 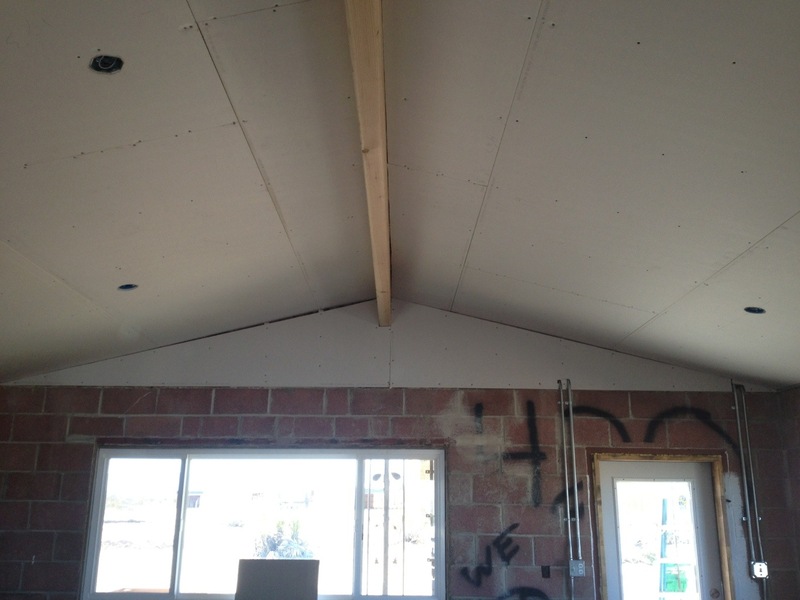 I debated doing tong and groove on the ceiling but visually I thought there might be too much going on with the horizontal/ vertical block with the tong and groove. 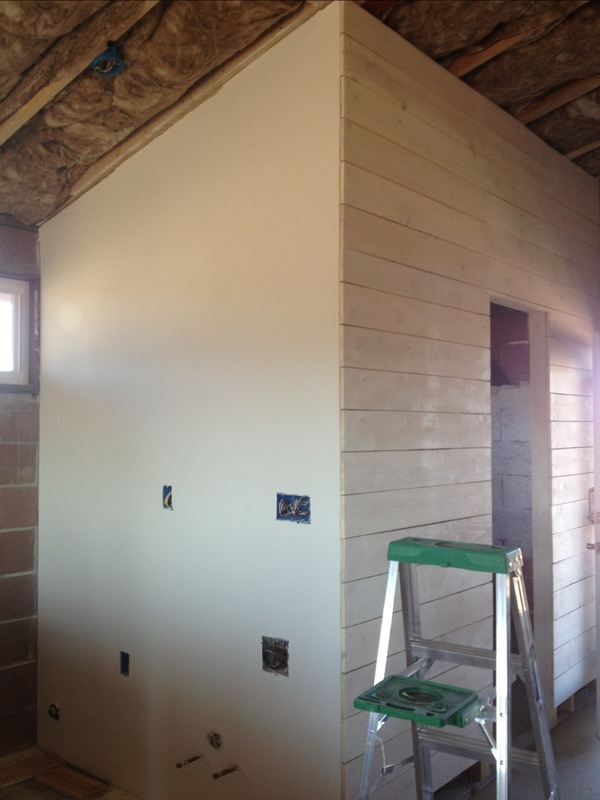 Not to mention, we just want to move in and drywall is soooo much quicker especially when you pay a professional to do it 🙂 So after I finished up the drywall on the kitchen wall I still put in a little cedar wood on the bathroom wall. 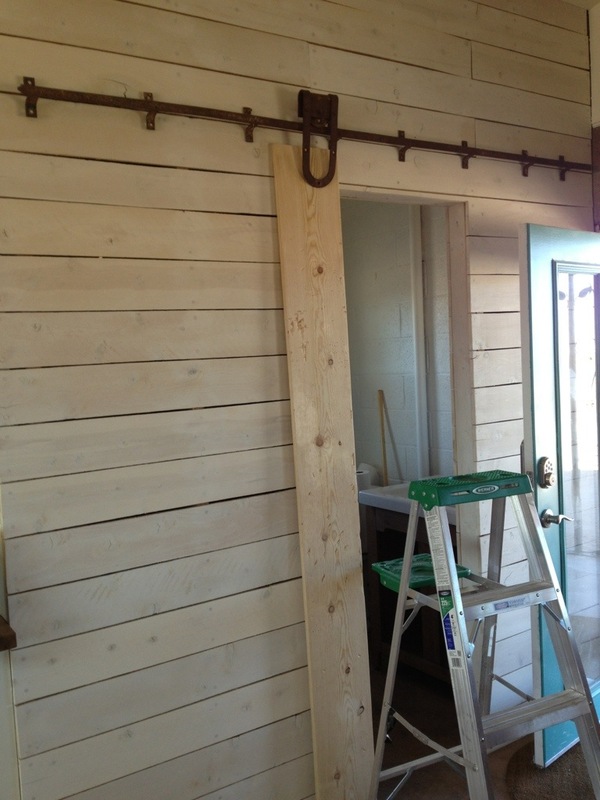 The cedar on the wall is actually cedar fence pickets. 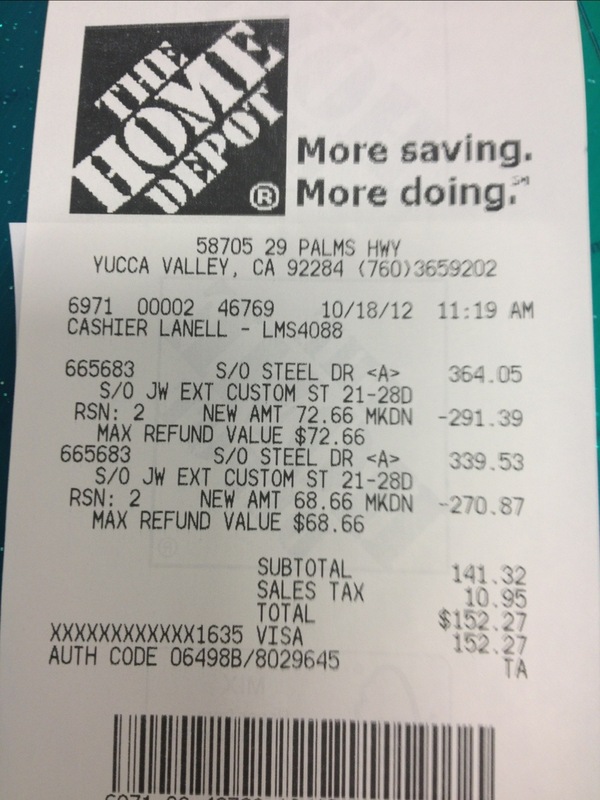 They were the cheapest option at $2.06 at Home Depot. It was a lot of fun whitewashing them. Using watered down paint is so much easier than using straight paint. Today was a very monumental day. 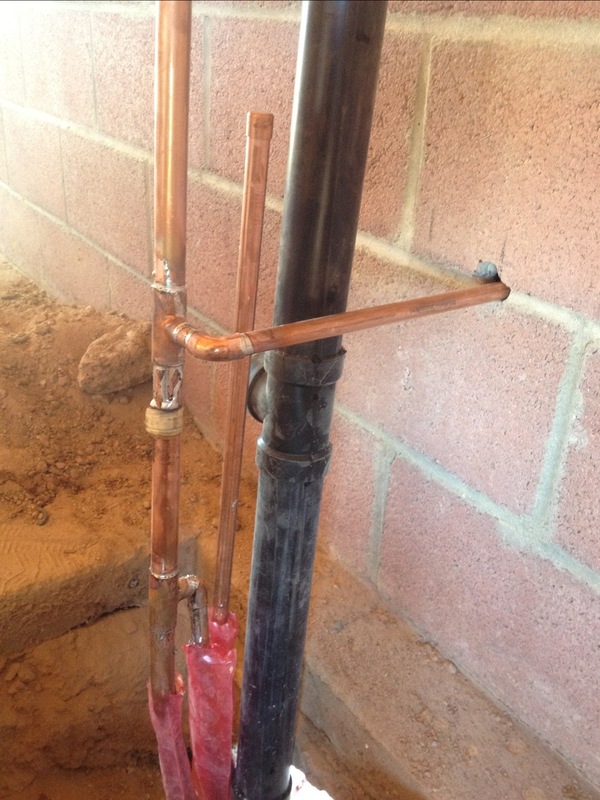 Water was stubbed into the house and there are pipes in what is going to be our new bathroom. 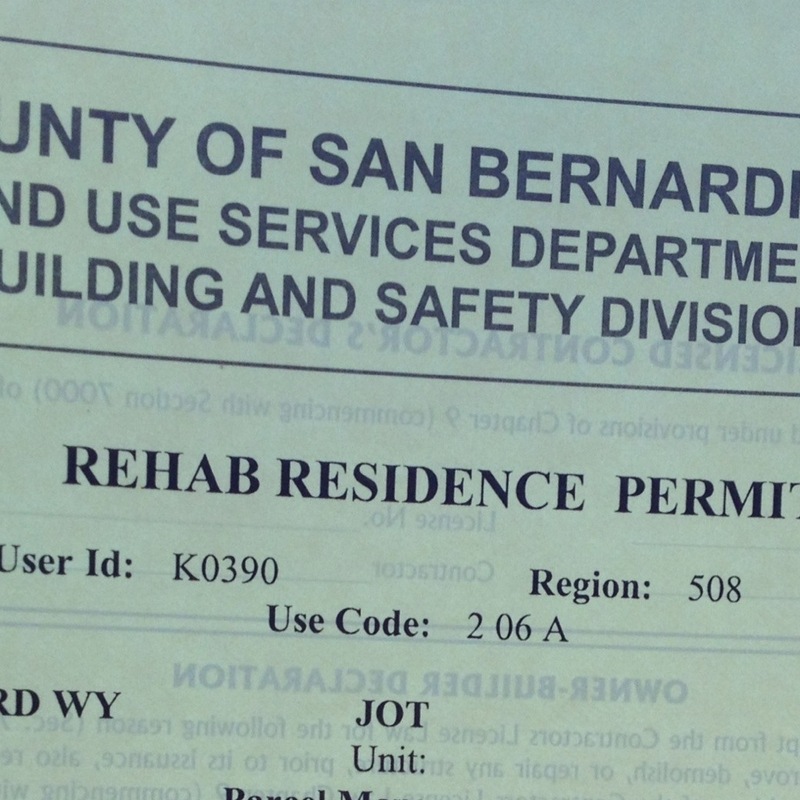 We have a REHAB PERMIT!!! After all of the debating back and forth whether or not we should get the county involved, we did. 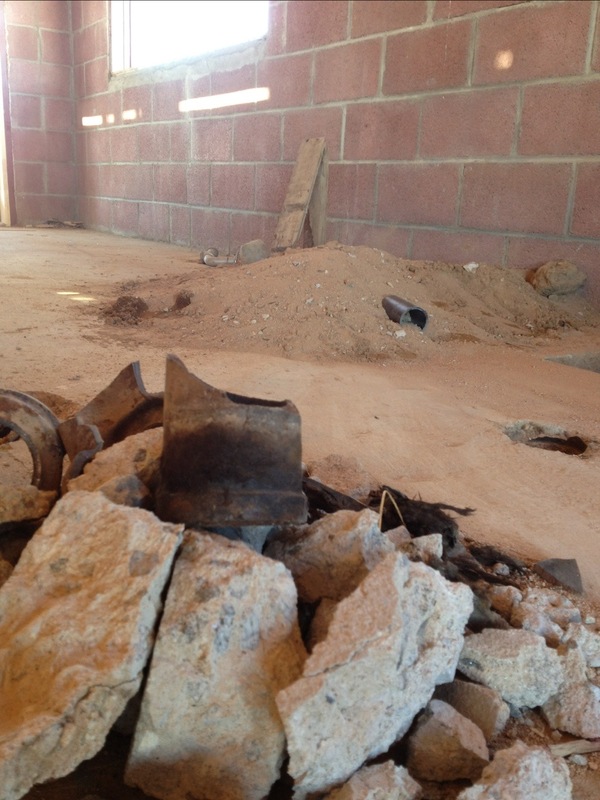 It is unbelievable how many people told us not to get a permit or to deal with the county. One guy told us, “they are like the police, once they get into your house it’s all over.” My favorite was, “that is why the county is called San BernardiNOo.” In the end, I went my gut, and I’m glad I did. 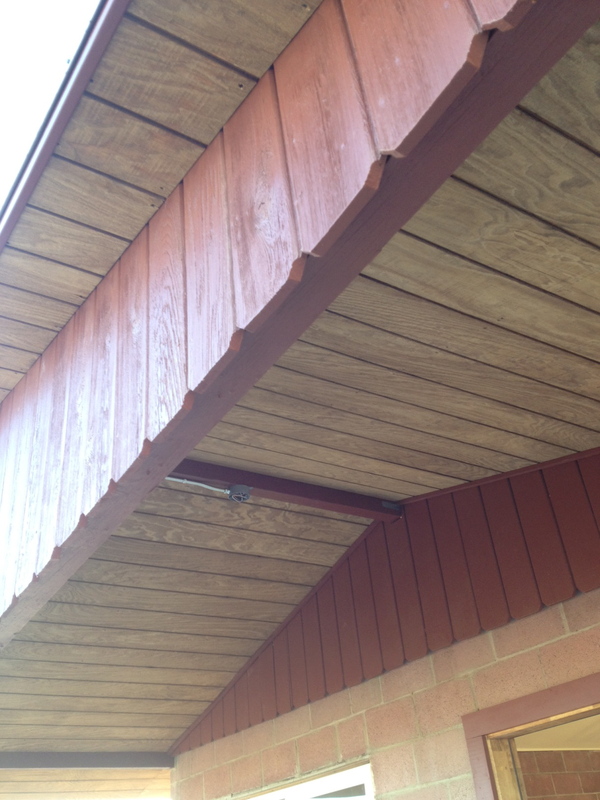 The county bases the cost of a rehab permit off of the square footage of the house and a percentage rate. My cabin is 25’x20 and it cost about $320 for the rehab permit. Today I removed some of the window boards in preparation for window installation. After pulling off the plywood on the north facing side, it was like a completely different space with the views. I realized I wanted my kitchen below the large window facing north. 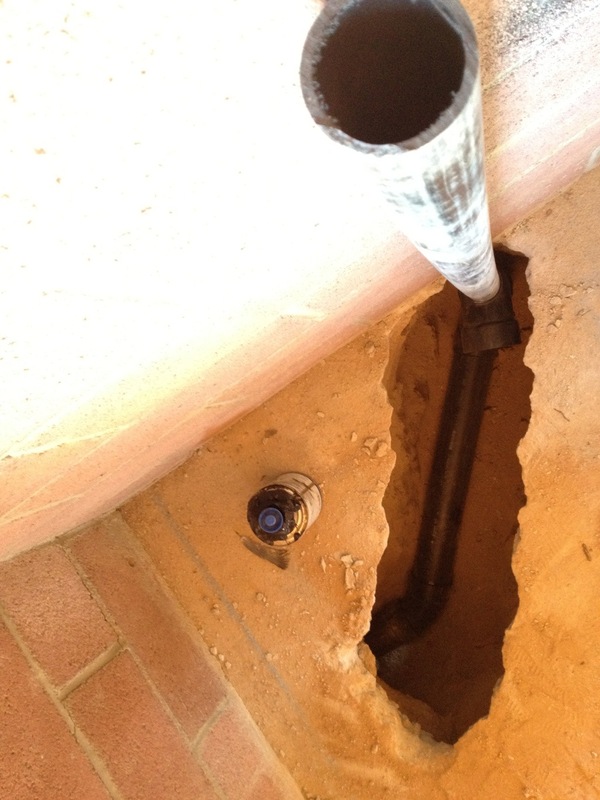 I am hoping the plumber doesn’t say it will be too much work or money. 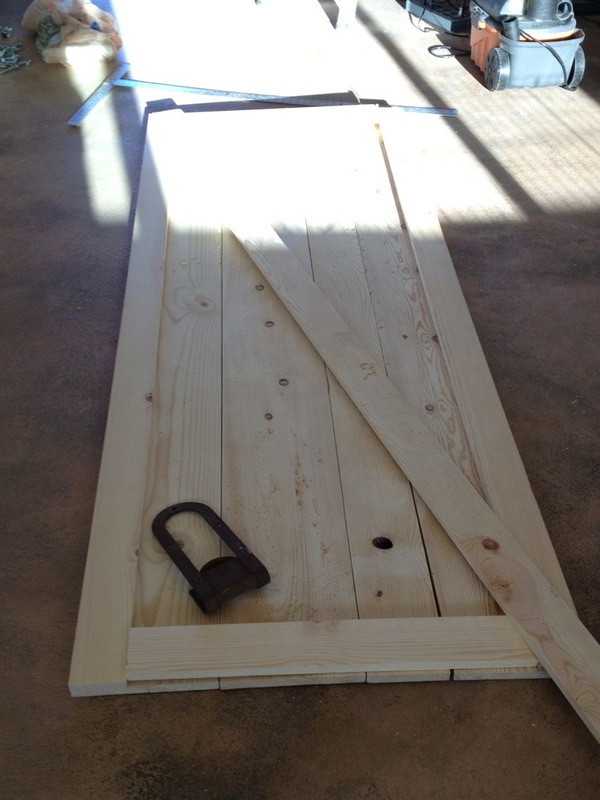 We ordered windows and doors from Home Depot and it has been nothing but a hassle. 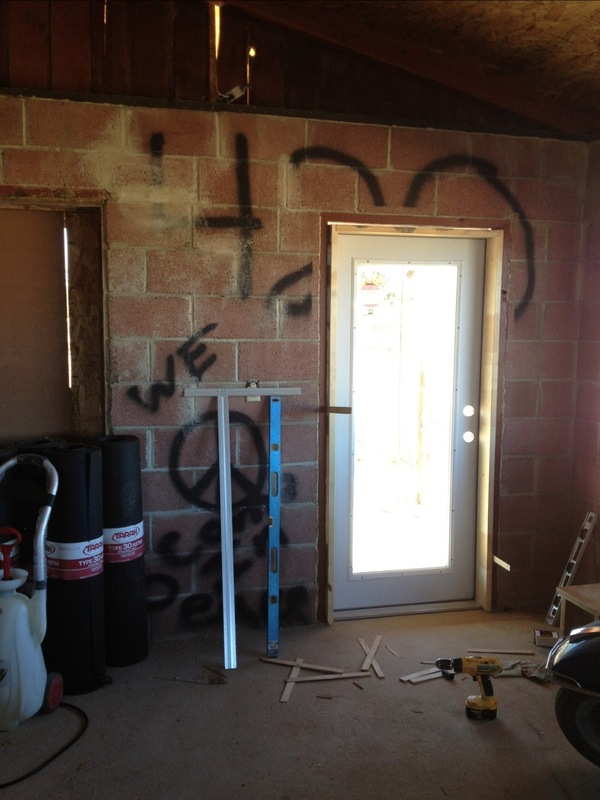 I won’t go into great detail with all of the mishaps but I will mention how messed up the “special ordered” doors were. So messed up we ended up returning them. Two days after returning the doors, it just so happened to be the “Managers blow out Special Sale.” And guess what doors we ended up buying back for a ridiculously cheap price! They were worth it this time around. 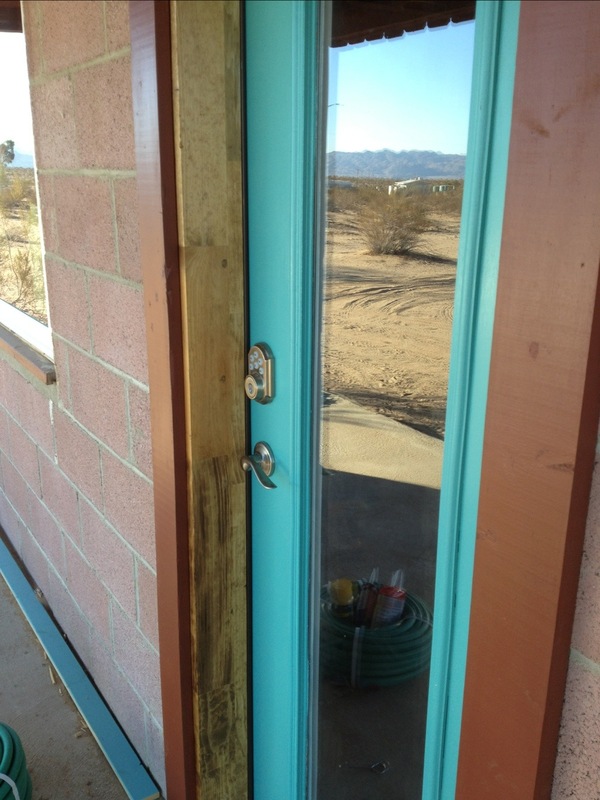 Today I installed the door facing the sunset patio. It feels very monumental being that it is the first real structural work done to the place besides the beginning of the roof. I met with Brian Rush today from Rush Construction. We are going to have him put in a new beam that spans the full length of the cabin and put in some 2×6’s between the existing rafters. We knew something had to be done, and really this is the main reason why I wanted to have the inspector come in the first place. I didn’t want to be sitting around drinking a cup of tea in the morning with K and then all of the sudden a random earthquake shakes the roof loose onto us. It isn’t going to be cheap but then again neither was rent in NYC. A lot has happened since I last updated. 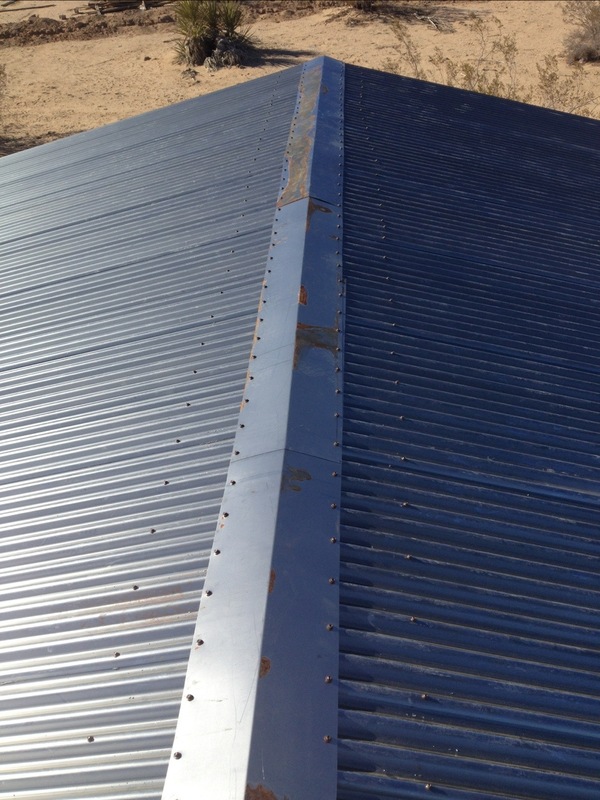 We ordered the roofing, picked up the roofing, and it is sitting inside our cabin. We are going to put it on this weekend. 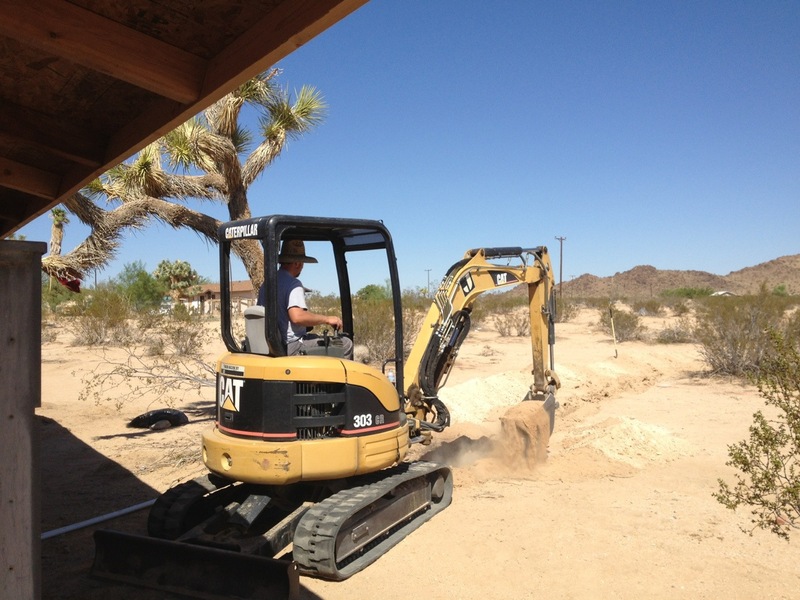 We put in the water main from the street to the cabin. 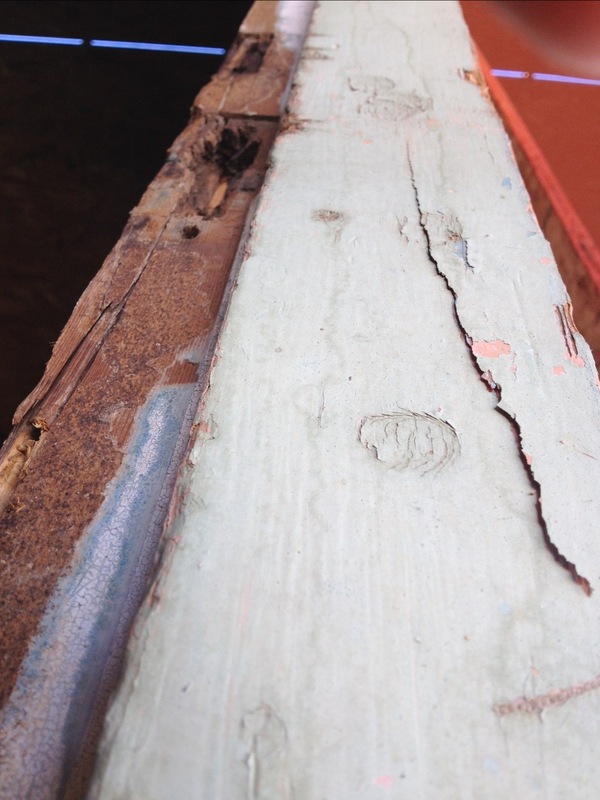 After looking at the windows a little closer, we realized they were too far beyond repair. 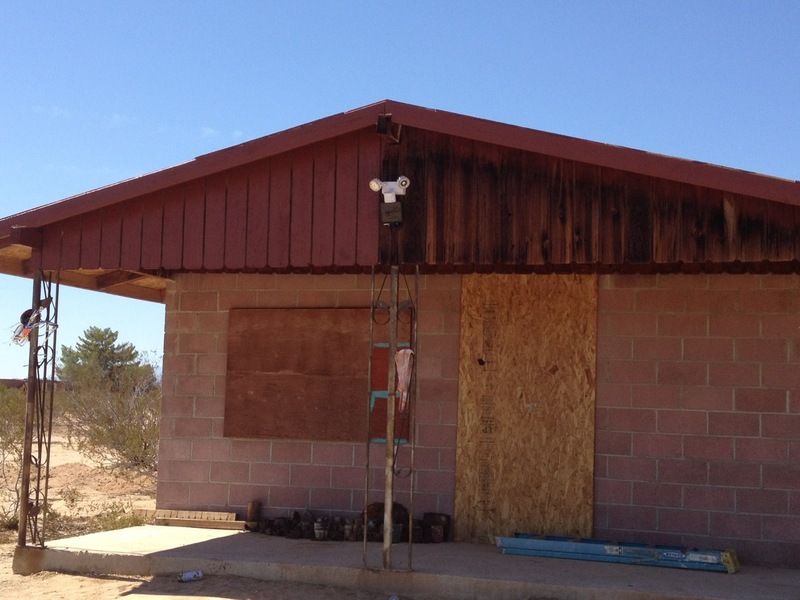 Hesitantly and sadly, we removed the windows. 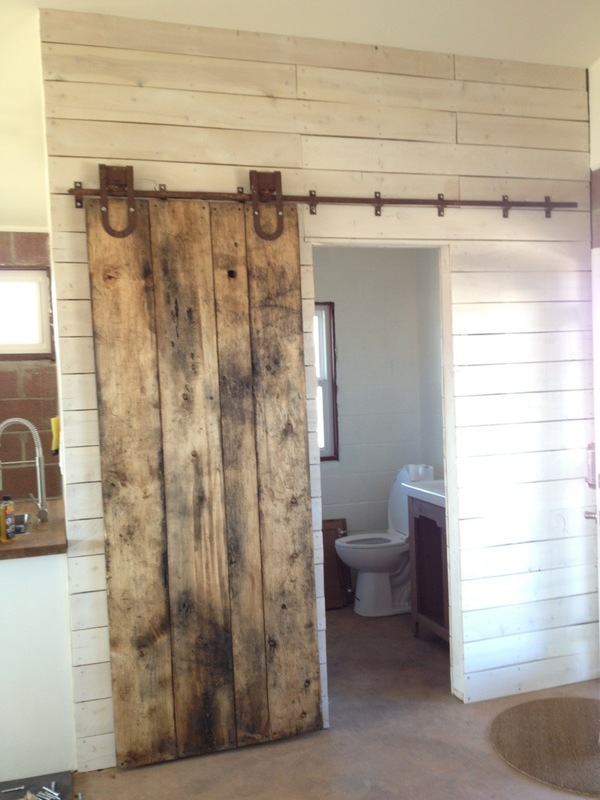 Since there were’nt doors to begin with, it wasn’t much of an issue. 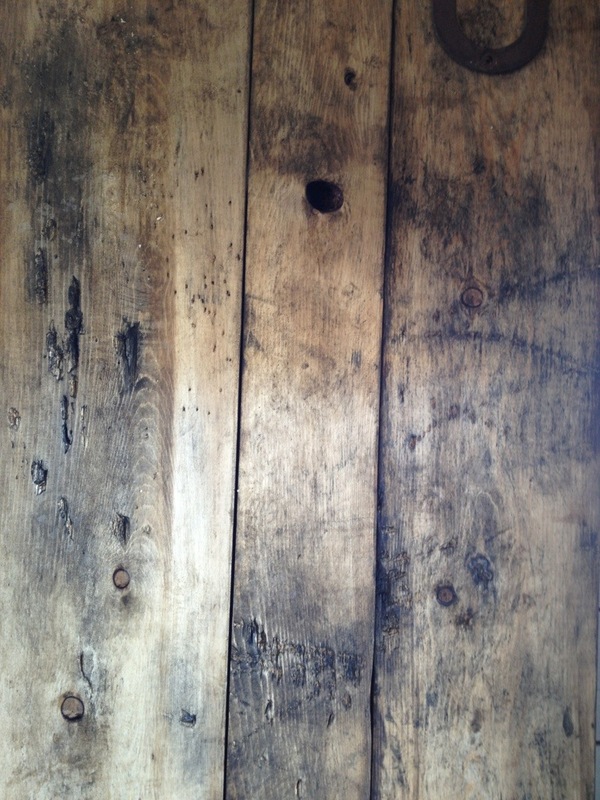 However, we searched everywhere for old doors and couldn’t find any. We went to restores, thrift/ antique stores, and we even stopped at JT windows and doors to see if they kept any of their old doors from jobs they did in the past. No luck. 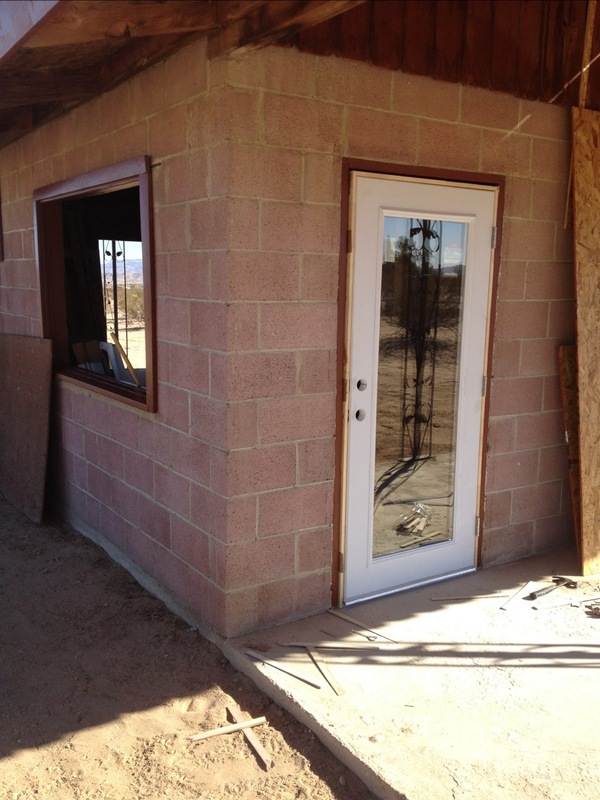 Ultimately, we ordered new doors with the windows, arriving on the 16th of October. Pretty soon it’s going to start to look Like a livable Cabin. Today I am painting in 100° weather. 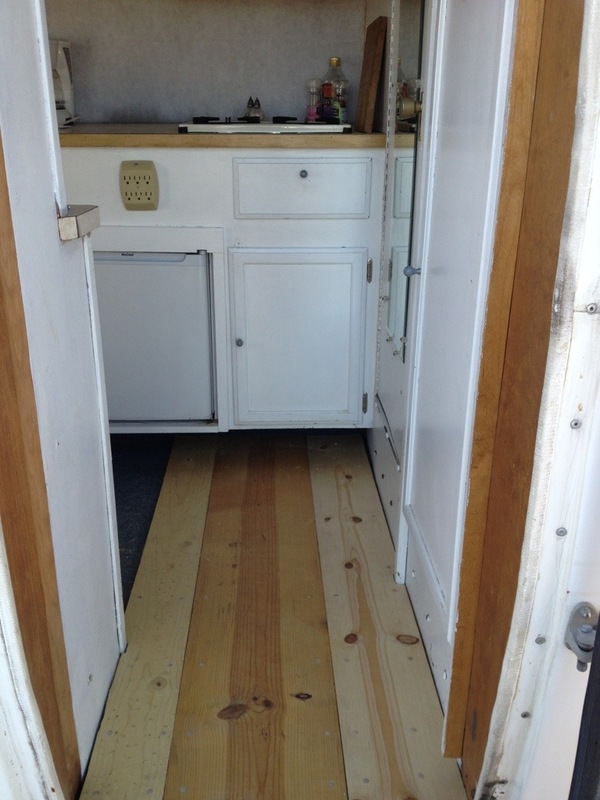 I picked out a color very similar to the original stain once used on the cabin. It is close to the color of rust so it will look nice with the cold rolled steel after it starts to rust and it doesn’t look too bad with the pink colored blocks. 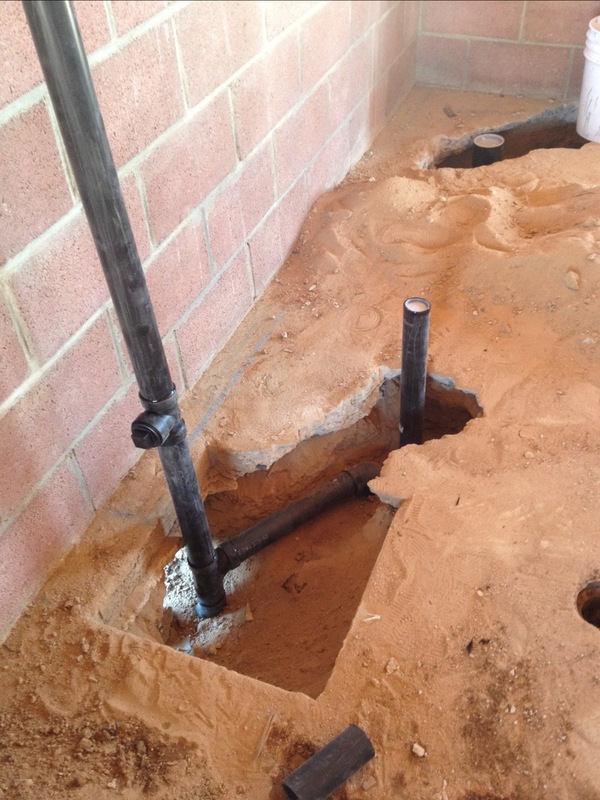 Instead of trying to figure out the layout with the bathroom originally located in the middle of the space, we called a plumber to find out what is possible. 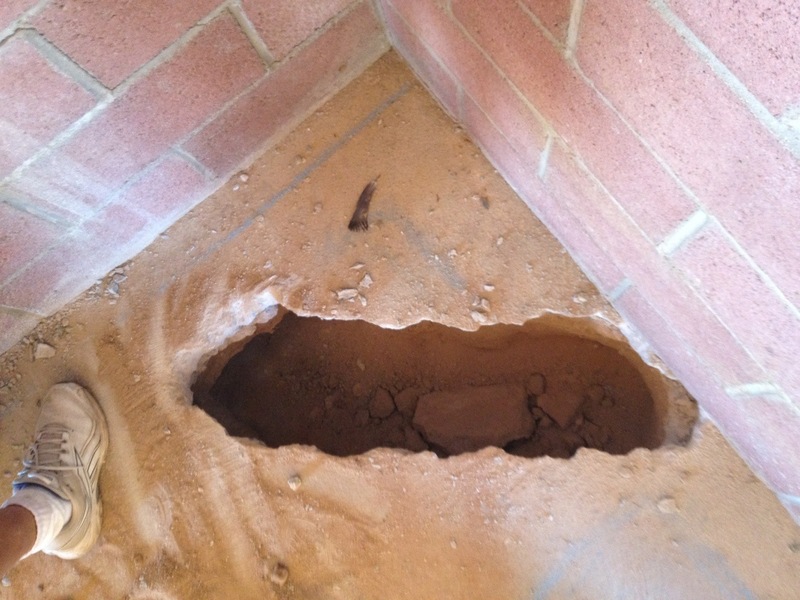 That is when we found out we can’t use the existing plumbing because the sewer drain pipe is too shallow to hook up to a septic tank and there is not enough space between the shower, sink and toilet per code enforcement. So now we are going to have to pay someone to rip up our floor to install pipes in our concrete slab. This place hasn’t been cheap!